Hannah Pierce is an active 24-year-old who loves the hiking options Central Ohio has to offer, as well as its social scene. 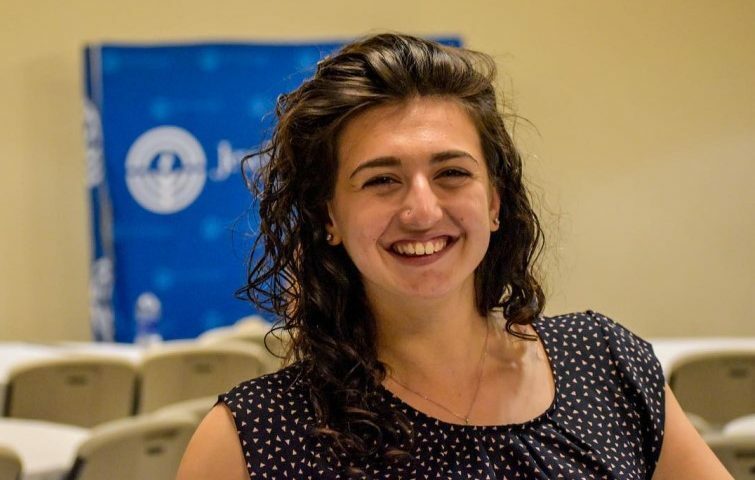 “I love hanging out with friends, and especially love trivia,” she said of life outside the Jewish Columbus, where she works as the Director, Young Adult Engagement and Philanthropy, running its young professionals group, Young Jewish Columbus. Pierce often puts together happy hours, workshops, and professional development opportunities for her group, but has also orchestrated social events like apple picking and frequently meets with folks one-on-one. Investing includes volunteering, which Pierce does as part of the young professional’s organization. She also enjoys getting out into her Grandview neighborhood. But for those new to the city, Pierce will lead them to the North Market. Hannah was named to our annual list of 52 Young Professionals You Should Know in Columbus – one for every week in the year!